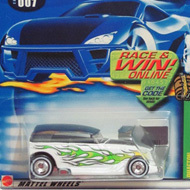 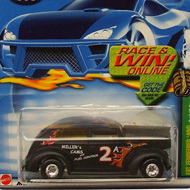 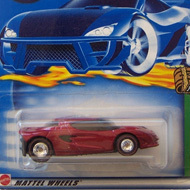 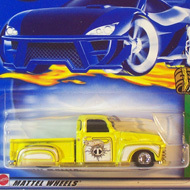 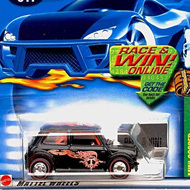 The 2002 set includes 12 vehicles. 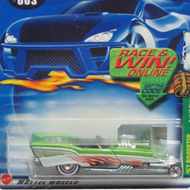 Each can be located by a card with an image of a treasure chest as well as a vertical green stripe with the vehicle’s name. 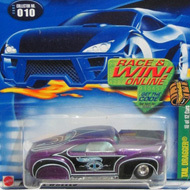 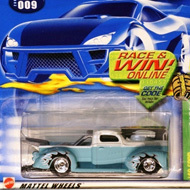 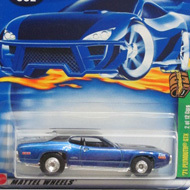 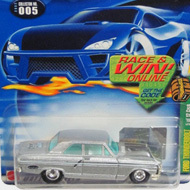 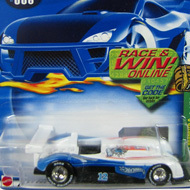 4/12 from the 2002 Treasure Hunt series. 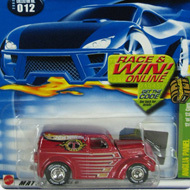 The Lotus has dark red metalflake paint embellished with a TH logo on the roof….